Today, Vima provides leadership, direction, motivation and supervision of Staffing fulfillment personnel, both in and outside of the USA. With more than 18 years’ of IT consulting experience, Vima joined Tekmark in 1999 as a technical recruiter, and then quickly transitioned into a senior recruiting specialist, trainer, and now is a VP, Recruiting. Since joining Tekmark, Vima has a proven record of multi-tasking and the ability to handle high pressure situations. Her tireless efforts ensure that our recruiting efforts meet the critical business needs of our clients. 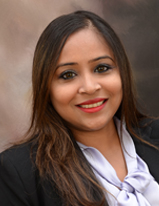 Vima graduated from Medical Technology Institute, Raritan Valley Community College, and Middlesex Community College, with both medical technologist and computer science degrees. Vima is a member of various technology organizations and networking professionals groups as well as a well-known LION in the social media community.